From April to October, the Detroit Union Railroad is closed to the public. During that period, excited onlookers are replaced by sawdust and wet plaster–the product of nearly endless expansions in size and detail. In that time, club members sculpt new hillsides and mountains, lay new track, and allow the locomotion of their imaginations to translate into the next year’s layout. 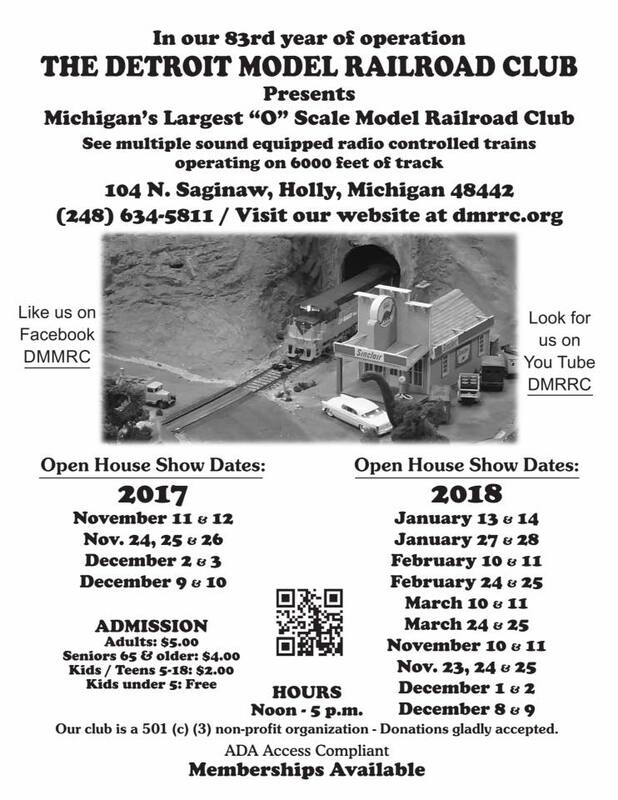 The Detroit Model Railroad Club is fun for visitors young and old. So if you love trains or simply appreciate the scale and artistry of their creation, be sure to visit this must-see destination during its Open House Show Dates from November to March. And if you need your fix of model train action year-round, club membership may be for you.